Snapchat for Mac – How to Use Snapchat on Mac? When there is a popular app that is used by many, then there are some expectations that arise from the users. And expectation becomes higher with an app like Snapchat. 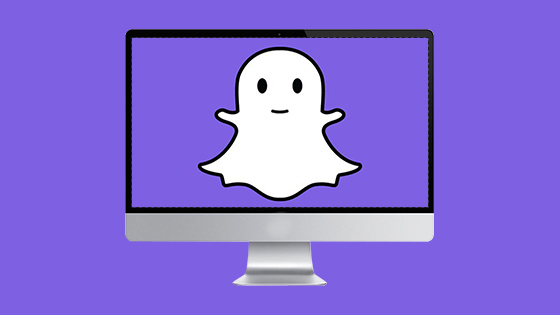 The Snapchat users are looking for the support more platforms than what it started on and hence search for how to get Snapchat for Mac, but sadly there is no official way to run Snapchat on Macs or Windows. But there are some ways by which one can get Snapchat on Mac or MacBook Pro or iMac. The steps are easy, direct and no need to worry about the legality as it is completely safe. In recent years Snapchat becomes more popular for the Android and iOS device, especially in the youth. The app is a single one in its kind of app, so it is not possible that you do not have heard about it. Even most of the people use it. If you are not on Snapchat, then you have saved yourself from the effect of social media. Snapchat is a messaging app but builds with different thinking. It goes beyond the talking and sharing videos and pictures. If we look for Instagram Facebook and Snapchat, then the first two are static whereas the last one is fleeting. When you post on Facebook or Instagram, then one can see the post until you delete it. But on Snapchat, you ‘Snap’ will be visible for a short time that is between 3 to 10 seconds. Once the receiver views it, it will disappear. Yes, one can save the Snap, but mostly it is meant to be fast and quick as the moment of our life. Using this app, you can create something new with the help of stickers, lenses, filters, special effects, markups and some other fun loving things. Add to your picture and send it to your contacts. There are a few more things that one can explore in the app which is the heart of the Snapchat and its experience. From the first day, all these are within the app. Recently, with new updates, Snapchat has expanded its features and include all the tools that make the message service straightforward and easy to use. With the update, it can make the audio and video call between you and your contact and replace all the DM or direct messaging system of text messages. It serves all purpose of the simple text message, and the best part is it does not charge an additional amount from the user. So whatever the new features are but the question is still the same that is: is it possible to get Snapchat on mac. Then the answer is definitely yes! 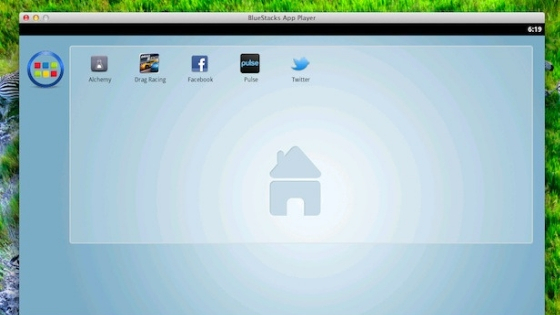 Recommended : How to Print Screen on Mac? 1 Snapchat for Mac – How to Use Snapchat on Mac? 1.1 How to download Snapchat on Mac? Snapchat introduced in 20111, but in 2016, it becomes something workhouse in the form of more functions compared to other apps that were present in the market at that time and reached to its highest popularity. Users think that with its popularity and more user, it will also grow on other platforms like Mac OS or Windows but unfortunately, the case is not the same. Users who have to use Snapchat, they must find that Snapchat would not work on the desktop or laptop which means you can stay active on Snapchat via mobile only or you can say it when it is on Android device or iPhone. But again there is nothing impossible, so there is a way to accomplish this task also. We have tried some methods in real and try to get the Snapchat app for mac. The method is known as emulation. So let’s know more about it. How to download Snapchat on Mac? 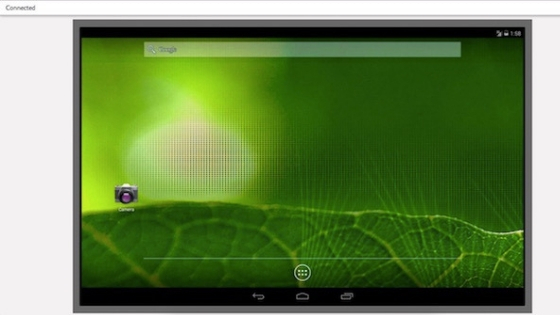 You must have heard about android emulator before, even you can read about it. Even so many times we have covered them, but for a Mac, the needs and interface are different. Many people already about it and for some it is an entirely new thing to explore. When you run an emulator, you can use your PC’s resources to get a similar environment like a different operating system. Here we are using the resources of Mac’s operating system that let you use the Android version of Snapchat on your Mac device. You might think that the process is complicated but do not worry as it is simple and straightforward. Keep in mind that most of the emulation software apps are almost similar to each other. I think you might have a question that as we are using the Mac then why we are not emulating iOS then the answer lies in Apple’s proprietary hardware and software, which makes it extremely difficult to emulate. All these software are third-party software which always chooses a flexible operating system and Apple is never the one, so we have to pick android apps. Finding a right emulator is not an easy task, but the one that appeals right for you is the one you have to pick. The emulator performs almost similar, but the only difference is basic functions that create a virtual Android OS from which you can run apps. Some are paid, and some are free so let’s have a look at each of them. Bluestacks is most popular and highly recommended emulator out there, and for new users, it is best. User-friendly interface, simple to started for novice and marketed well, so we recommend this in the first place. Primarily it is marketed towards android games, and the fact is it can handle all android app that you throw at it. It is available for free but if you want to remove third-party ads then go for the paid version. If you don’t go for the first choice, then the second one is Andyroid, which is the choice to use it personally. I like its speedy updates and minimalistic aesthetic. System tray manager or Handy Andy will help you to set up new settings for best results. If you don’t want to pick the free software due to its annoying ads or other reason, then Manymo is the one that is made for you. It is a browser-based emulator and does not require any software installation. But to use the particular app on the pc, you need apk file of it which can easily available on google. With the free version, one can use ten limited duration uses per month, but if you want to deal with more, then $9.99 is a subscription fee. So these are the top three emulators, and we can add more in it, but at present, these are best. And any of these can work smoothly to run Snapchat on it. The first two are easy to download, install and use and the third one is on your browser itself. Once you have installed the software, you need two other things to proceed next. 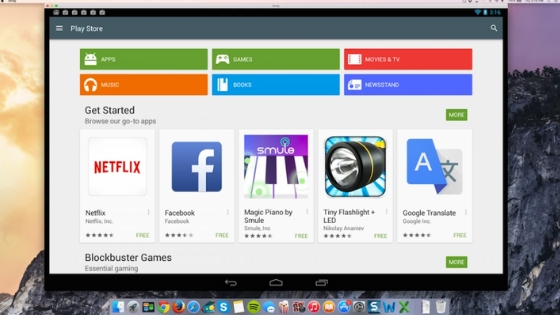 First is Google account to sign in into google play store on your emulator. Either you can use the regular one or pick a new Gmail account. For your smartphone, set up a profile as it meant to be run on the native platform only. If you already have an account of Snapchat, then you don’t have to anything else to emulate it. Get both the things and launch the emulator and you can see it work almost similar to the android system and also looks like an android OS. Go to the Google Play store and from the search bar look for Snapchat. You can find it on a top of the result, click on it to download and then install it. After that signing into your Snapchat account and get started you usually do but at this time from your Mac! As the Mac has microphone and camera support, you can access all the features of Snapchat. Yes, most of the activity and features probably take place on the smartphone because it was designed to run on Android and iOS device natively. But using it on the mac is also plenty of fun especially when the new version comes up with new calling and messaging features. Keep in mind that at one time you can sign in to one device only and hence you have to do a little bit of maneuvering when you want to switch your account from one device to another. Other than this, it is the best option to use Snapchat on Mac. Even who knows Snapchat come up with pc or mac version in the future, and you don’t have to go through all process. Until they declared the PC version, we have to use the emulator to use Snapchat on Mac. It is all about Snapchat for Mac article and thanks to emulator developers who have made it simple to use it on a Mac device like Macbook, MacBook Pro, or iMac in no time. After reading this article, if you still have any questions just go to the inbox and ask your questions. Thank you!